I had today off and after my morning workout before I started making breakfast, I browsed Netflix to find something to watch while I eat and clean the kitchen. I came across a documentary on my recently added called Fed Up. The documentary, which is narrated by Katie Couric all a about childhood obesity. There are interviews with teenagers and parents, doctors and so many others. Two points that come up and that stuck with me were: the lack of education around overall health and what helps contribute to weightloss and whose responsibility is it that obesity is an issue in America, especially with children. 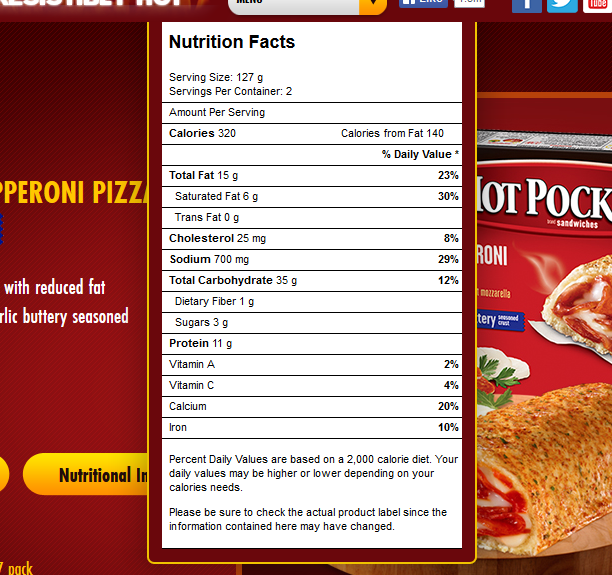 Here are screen shots of both a Lean Pocket and a Hot Pocket, both are Pepperoni Pizza flavors. I flex diet and count macro nutrition and eat according to my nutritional goals. Looking at the fat content in the reduced fat I can see why someone could get excited that it has almost half the fat as the regular one, however, keep reading the labels. With only a 30 calorie difference in these foods, there’s actually more carbohydrates and added sugar in the Lean Pocket than the Hot Pocket. Ultimately, it’s not a better choice and both are still highly processed. Added sugar has been proven to cause hormonal reactions that are equivalent to those who are drug addicts. Sugar is addicting, fat isn’t and as fat is reduced food companies add more sugar to make up for flavor. The gap in education is great and while not everyone studies science and nutrition, more people need to take responsibility for themselves and have understanding about what they’re putting in their bodies. The food industry’s job is to sell their product, marketing sugar free and fat free as healthy options is their job. They will say anything to get you to purchase their product. Fancy wording like gluten-free can even be deceiving. Gluten-free doesn’t necessarily mean that it doesn’t have a lot of added sugar. This goes with the question of whose fault is this. I do believe in personal responsibility because you can control your actions, not the actions of others, however, there are pressures everywhere that make it very hard to make positive decisions. There’s marketing on television while you’re watching your favorite show. On my drive into Boston, there are billboards that say McDonald’s coffee is a great option because you can still afford rent when you purchase a medium ice coffee. I find myself in a tough situation when I go out to eat with other people. As a personal decision, I will check a restaurants menu prior to arriving. I will look at nutritional values and make a decision based on how it fits into my daily diet. I am able to make pretty solid choices most of the time, but there can be pressure when I’m with others. People have pointed out that I’m eating “super healthy” or that I need to “live a little”. There are times that cost is a huge factor in how I eat. I shop sales and that’s how I determine which vegetables I purchase, and I remember in college saying well the dollar menu can give me a meal for $2 or $3, but now I know that the long term effects of a short term cost savings aren’t worth it. I’m having to convince myself some days that spending a little extra money is worth it even though my wallet doesn’t think that always. I’ve had to remind myself that if I can’t pronounce the ingredients on the label it’s probably not a real food item. I definitely keep Oreos in the house, but in moderation and in partnership with the vegetables I eat, do I enjoy them. I maintain less than 60g of sugar consumption daily, this includes natural and added sugars. This has helped me a lot and like many of the people in the documentary, it was hard to detox at first and cravings were horrible, but after I pushed through the first few weeks I could feel my energy skyrocket. I slept better, my skin looked better and my taste buds changed. This is everyone’s problem, not just the individual being directly effected by food choices. 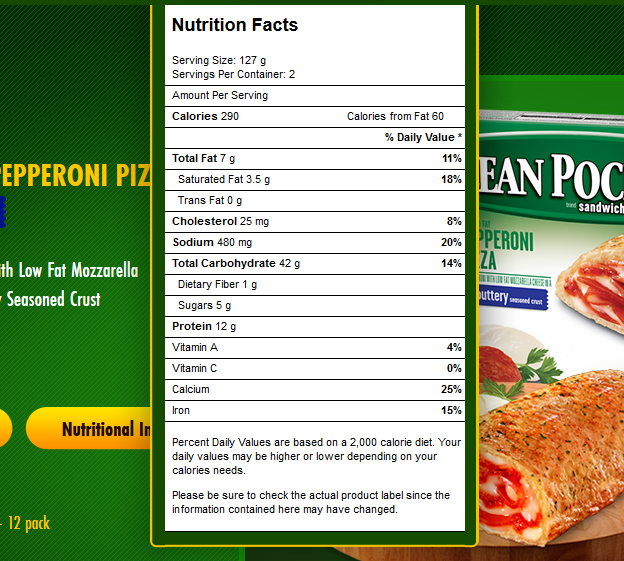 It’s the food industry that believes by saving me 30 calories they’re helping me make better decisions – false. It’s the studies that are developed with investment money from corporations like Coca-Cola that try to tell us that soda isn’t linked to obesity. It’s the marketing firms that help the food industry target children in their strategies. It’s also the individual who is deciding to have a cookie over an apple. Balance is key and my favorite thing about the documentary was the emphasis on real food. It’s starts with your own fork. Small changes can make a huge difference. Start with cutting out sodas and pledge to yourself to drink more water. Cold turkey isn’t for everyone. My weightloss journey has been challenging and it’s really made me decide what’s important to me that feeling I get from having chicken wings now, or the feeling of accomplishment I will have when I can walk up the stairs without getting out of breath? I’m down 91 pounds because of small changes. It was and is still challenging. But I had to make a decision – be stronger than the outside influences.